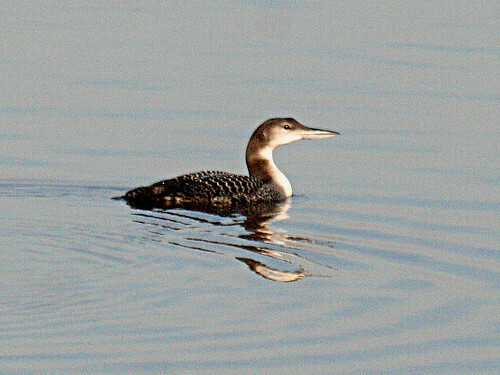 The Great Northern Diver Gavia immer continued its migration north by moving about a kilometre to the next available large expanse of water. The bird showed well in better light on D res for most of the day. Obviously more distant than yesterday, but always viewable to anyone who came to see it. 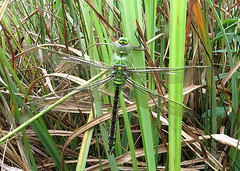 For more pictures of the bird from the finder Graham Slack click on the Tophill Low NR website. 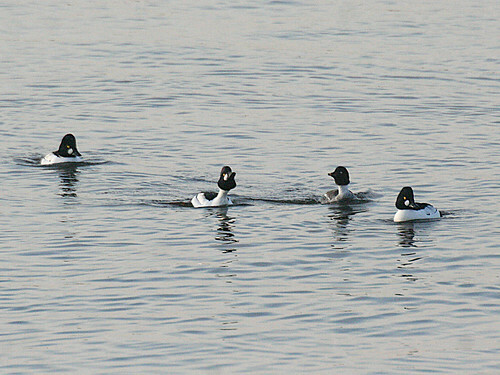 The reservoirs hold plenty of birds on their migration north , and although numbers of Goldeneye Bucephala clangula are slightly down on past visits, they do look superb displaying in the evening sunshine. Also 22-24 Pintail Anas acuta were present on Saturday… stunning birds and nice to see in number rather than the odd one or three that makes most winter counts. 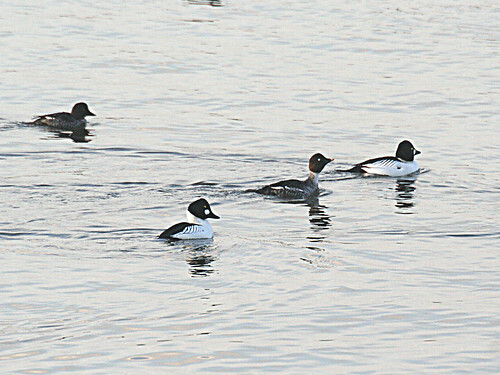 The hybrid Scaup x Tufted Duck was present Saturday on D res, while a tour of the southern end of the site on Sunday saw both the redhead Smew Mergus albellus and a/the Pink-footed Goose Anser brachyrhynchus still on Watton Nature Reserve. Valentine’s week in February always heralds the arrival of returning Oystercatcher Haematopus ostralegus… so predictable that two were present this weekend. An increase of Shelduck Tadorna tadorna was also as predictable as February 14th appearing in the calendar!!! Obviously missing out on the movement of Laridae during the week, the white-winged gull-free winter continued. Plenty of birds in the roost on both Saturday and Sunday, thought few large Larids on either evening. Sunday was the best of the roosts with a 2nd winter Mediterranean Gull L. melanocephalus present late on. Two adult Lesser Black-backed Gulls L. fuscus graellsii appeared early in the roost, but departed quite quickly, while an interesting 1st winter Herring Gull L. argentatus argenteus with an unusually long pink grey bill was showing sign of being leucistic and a variation of theme. 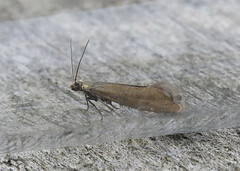 No moth trapping took place due to the cold nights, but an Agonopterix arenella was found in one the hides among the numerous A. heracliana. Despite the warm spring sunshine, only a single 7-spot Ladybird Coccinella 7-punctata was found on Sunday, while a White-tailed Bumble Bee Bombus lucorum on the wing perhaps is an indicator that winter is almost over.